aim to bring together scientists from academia, business leaders and professionals. Within these events exchange information takes place and sharing of creative and innovative ideas, approaches, strategies and research results, the challenges encountered and the solutions adopted in practice are discussed. 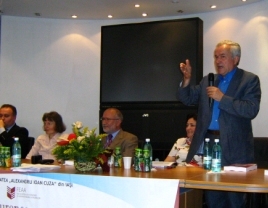 The academic event hosted by the Romanian Academy, Iasi branch, reunited participants from the most important higher education institutions and research centers from Romania, as well as from Germany, France, Arab Emirates, Uzbekistan and others. 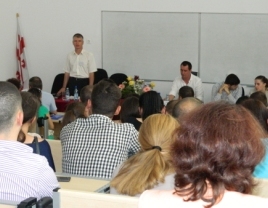 The conference Collaboration vs. competition from the series of events SEA, was organized by the Cross-Cultural Management Journal publication and with the particularly valuable support of Faculty of Econimics within University of Pitesti, faculty who played the role of the host event. It was a pilot event, included in a series of meetings, designed to coagulate a nucleus of people and organizations and to lay the foundations for collaborative partnerships. The workshop the Innovation – path for success of companies in Romania submitted for debate the challenges and trends with regard to the importance of innovation in the business environment and the identify development opportunities through innovation in the north-east region. 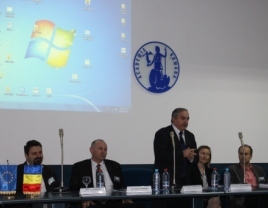 The approach of the 6th Conference of the SEA events, was multidisciplinary, the participants presenting several themes from socio-economoc sciences, medical sciences, history, law and linguistics. 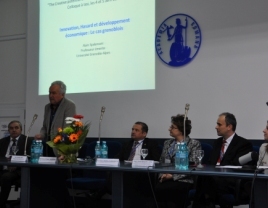 The plenary conference took place at the University Stefan cel Mare Suceava. The Conference was structured in two parts: in the first part, the representatives of the institutions partner countries have sent welcome messages to all participants and also in this first part, the audience could interact directly with practitioners from the business environment. 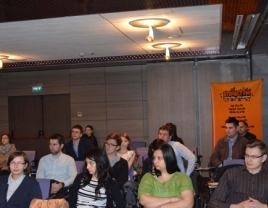 The conference Share, Empower, Awareness (SEA) has been organised by Romanian Foundation for Business Intelligence with the highly valuable support of the The PhD School of Economy, within „Alexandru Ioan Cuza” University of Iași. Within the framework of this conference, has been organized the second edition of the National Seminar of PhD Management & Marketing (SNDMM). In Aula of Romanian Academy in Iasi county, they have been invited to speak teachers high-class, representatives of prestigious educational institutions. Because the great conferences isn’t just about what is available in their frame, but are centered on relationships and making new friends, partnerships, we’ve prepared a special program. The workshop sets the relationship between ideas and visions of researchers and PhD with areas of expertise in multiple areas. 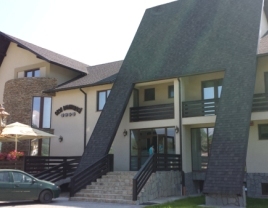 The third edition of The National Seminar took place in the guest house Casa Domneasca. 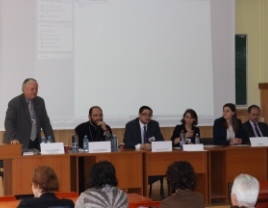 Volumul „Mediul antreprenorial european: prezent si perspective”, lansat în sala de conferinte a Scolii Doctorale din cadrul UAIC Iasi, vine in sprijinul cercetatorilor si studentilor in domeniul antreprenoriatului, managementului si marketingului, cat si celor care doresc sa-si formeze o imagine asupra universului si implicatiilor afacerii, a metodelor de lucru si a teoriilor care stau la baza administrarii acesteia. Recenzarea articolelor din revista este realizata de specialisti si practicieni din diferite domenii ale antreprenoriatului si stiintelor economice in general.